BoomerangBoard is a unique, anonymous social network offering peer to peer advice. BoomerangBoard allows users to handpick personal board of advisors and create mentor groups to get answers, work through life’s challenges, or just share what’s on your mind – anonymously and free. 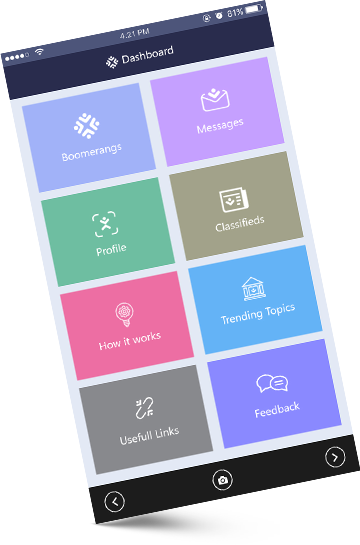 Users can connect with people you can help most and those who can help you with in the anonymous BoomerangBoard community, classifieds, private meeting place and so on.